What’s in a mushroom burger? Or a veggie sausage? Perhaps worried that you may be confused, some epicures at the European Parliament have proposed a new rule: If a product does not contain meat, it cannot be called a burger or a sausage or a steak. The proposed amendment was passed by the body’s agricultural committee this week as part of a voluminous revision of the European Union’s Common Agricultural Policy. Eric Andrieu, a French Socialist member of the European Parliament, introduced the proposal, but suspicions remained that the meat lobby was behind the idea. Environmentalists said the suggested labeling rules were an effort to undermine the growing demand for plant-based foods. Mr. Andrieu, who could not be reached to comment, told The Guardian that the meat lobby had nothing to do with the amendment and that he was attempting to add some common sense to food labeling. Dairy producers were the first to allege that competitors selling plant-based foods were using misleading labeling such as “tofu butter” or “veggie cheese” and they won a 2017 ruling from the European Court of Justice that reserved the names of dairy products for foods with an animal source. As part of its vote last week, the agricultural committee added to the dairy restrictions with a rule that would ban the use of phrases like “yogurt style” or “butter substitute” for plant-based products. The proposal about meat labeling was opposed by a coalition of environmental and animal rights groups. The proposal must still pass the full European Parliament, which will not take it up until after elections in May. It would then have to be negotiated and agreed on by the Council of Ministers before becoming law, according to Neil Corlett, a European Parliament spokesman. Whether the proposal is a maneuver by the meat lobby or simply an attempt by the French to assert food traditions, the proposal reflected a certain defensiveness by the meat industry as more and more people reduce their meat consumption, Ms. Scott Cato said. “There was no consumer demand for this,” she said, adding that she would continue to oppose the amendment as “an attempt by the meat industry to make life harder for people” who prefer vegetarian diets. “Nobody thinks their almond milk comes from a cow,” said Michele Simon, the executive director of the Plant Based Foods Association in San Francisco. As for efforts in some states to come up with labeling for plant-based meat substitutes, there was no confusion there either, she said. “People are happily buying these products not thinking they are beef,” she said. 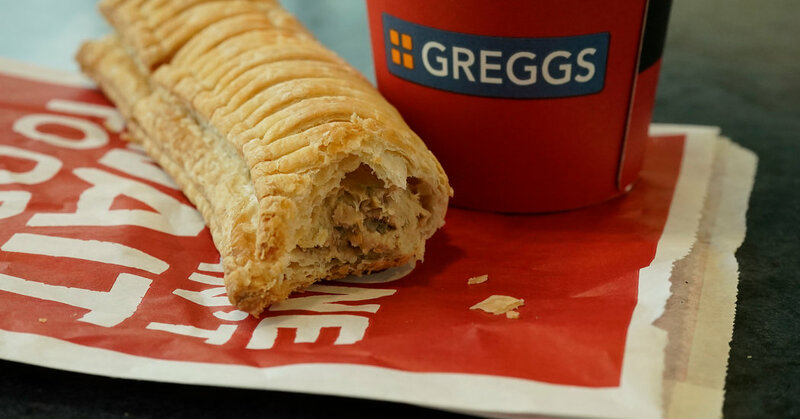 Ms. Scott Cato pointed to the breakout success of vegan sausage rolls this year introduced by Greggs, a British bakery chain, in January, as evidence that more people are eating vegetarian dishes — and that they know what is in them. “It’s not like anybody bought a vegan sausage roll and asked where is the pig,” she said.